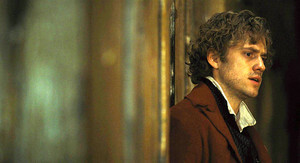 Enjolras. + other members of the Amis. Wallpaper and background images in the Les Miserables club tagged: les miserables screencap enjolras.